Element AssetHub™ is the only data hub specifically built to handle the complexities of industrial asset data. Element AssetHub unlocks industrial data by creating a 360° view of every asset, enabling advanced analytical and AI applications. Share common data models and asset data for easy consumption across the enterprise. 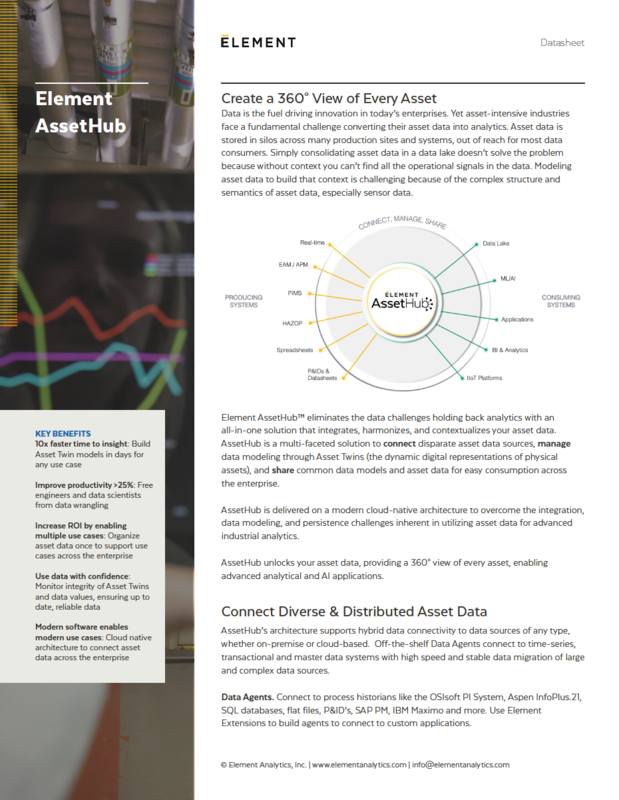 This datasheet covers they key features and benefits of Element AssetHub. Complete the form to download the datasheet.